So enough on that. Recently I took a park road trip and one of those parks was Dollywood. Most enthusiast know that the park has one of the greatest Arrow loopers ever, Tennessee Tornado. Watching a POV you can see how the ride is really short. Many have speculated that Dollywood planned the coaster to be longer but ran out of money so the coaster was cut short. 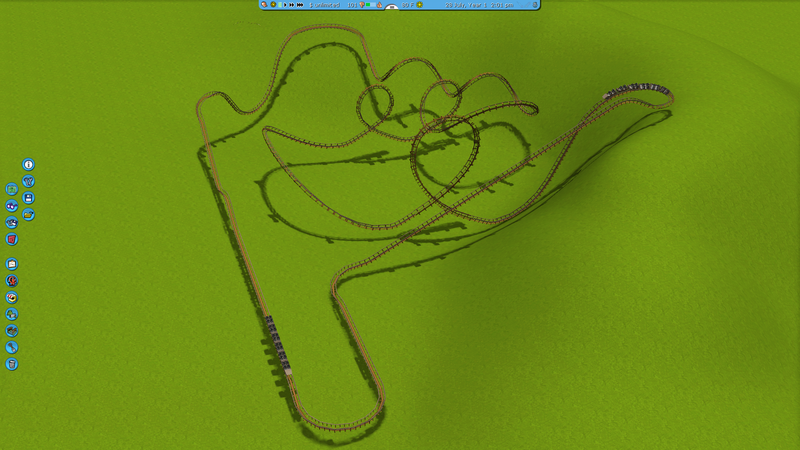 This coaster draws on that and while one of many options (and RCT3 limits as evidenced by the lift hill/first drop) lets the imagination run wild. Looks good! I can definitely see the TT inspiration, and it does look like an extended layout. Keep it up! It looks like a fun layout. I've never ridden the original but this looks promising. Thanks for the comments guys. 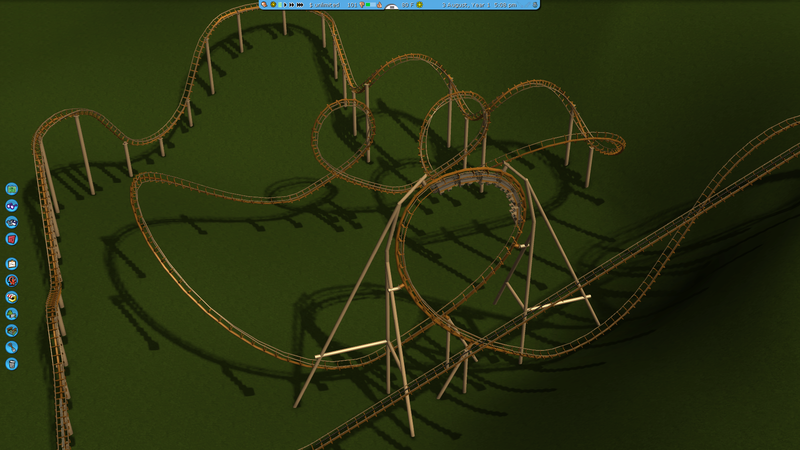 Well, supporting is now underway with a hard part (maybe the hardest) done, the giant loop. Again, it draws inspiration from TT but a different take due to RCT3 limits. Very happy the way it turned out. I am now facing a design choice. Arrow never did corkscrews with their new design. So I ask you guys, do you think Arrow would of supported them with the usual way (as the pic above shows) or do you think something new would of been done? Let me know! Awesome! Thank you for that find.